Relax at one of Fiji's newest waterfront resorts located at Momi Bay on the Coral Coast. 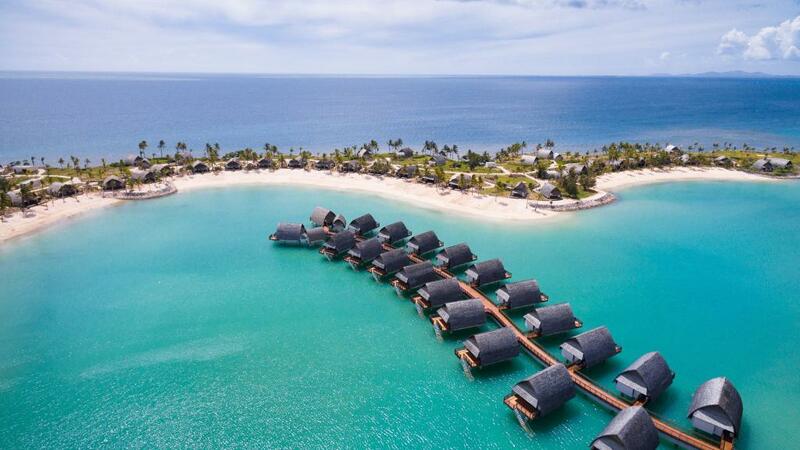 Fiji Marriott Resort Momi Bay offers guests luxurious rooms and overwater villas, and great facilities including restaurants, a bar, kids club and day spa. Fiji Marriott Resort Momi Bay is located on the Coral Coast, a 90 minute drive from the International Airport at Nadi. This brand new resort offers guests a great range of facilities and rooms and overwater villas that feature views of the lagoon, gardens or pool.